Home > News > And we have a winner!! 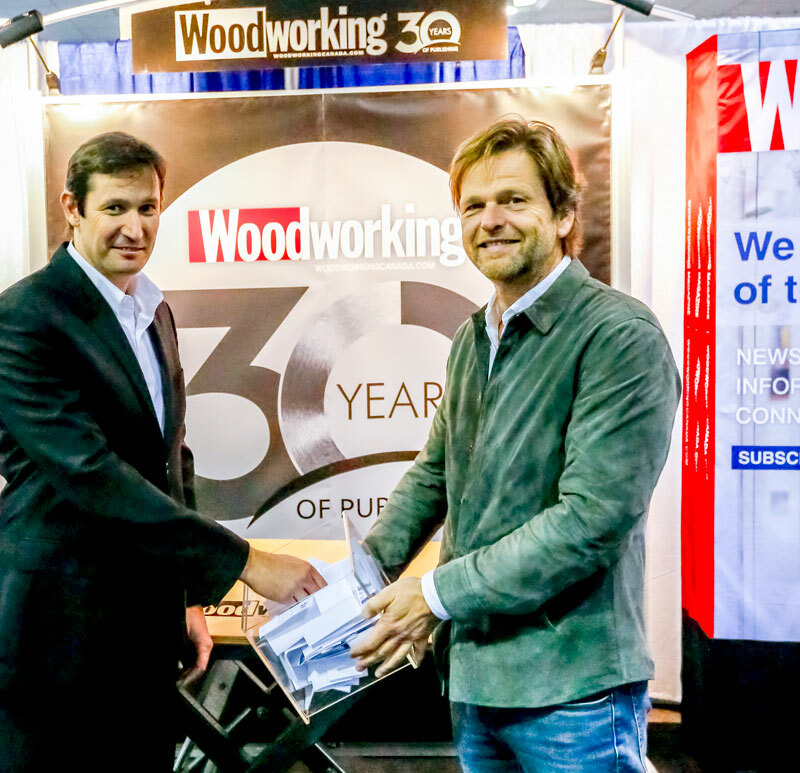 Andy Gombaez, CEO of Felder Group Canada, left, and Woodworking publisher Bert Kleiser, right, made the draw for the Felder FAT 300 worktable Woodworking magazine raffled off at WMS in Toronto. Mark Sibbick of Bracebridge, Ont. has won the Felder FAT 300 worktable which Woodworking Magazine raffled off at this year’s Woodworking Machinery & Supply Expo held in Toronto Nov. 2-4. The draw was a way of saying thank you to our readers. 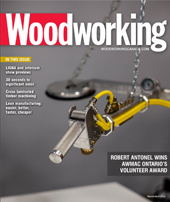 For 30 years, Woodworking Magazine has covered the industry and kept you informed about the latest developments, trends and innovations. And, as thank you for your readership, support and the feedback you have provided over the years, we were giving away a Felder FAT 300 worktable. The height-adjustable Felder FAT 300 worktable combines amazing versatility with maximum stability and easy mobility. Congratulations to Mark Sibbick and thank you to everyone who participated.